The proposal was announced on Tuesday, and there are few surprises in the full text beyond what Chairman Ajit Pai promised. The text spends about 230 pages of 386 citing the justification behind the order, citing court cases and guidance issued about the internet more than two decades ago, despite more than 10 times the number of people using it, and over 10,000 times the traffic volume. The order text does note that Comcast discriminated against online video providers in the past. However, it also notes that the length of time that has passed "shines little light on its ability to do so now." Mention of other restrictions, throttling, or prioritization by internet providers in the past are absent from the proposal and are explicitly stricken from the record by the changes made in the new order. While the FCC claims that it has restored the 2010 ruling "with some modifications," the draft removes the FCC from enforcement of rules and conduct in any way contrary to the 2010 order. The carriers can promise whatever they like to consumers —up to and including restrictions on allowable content of any sort and price tiering —and as long as they follow through on what they promise to consumers. "Any person providing broadband Internet access service shall publicly disclose accurate information regarding the network management practices, performance, and commercial terms of its broadband Internet access services sufficient to enable consumers to make informed choices regarding the purchase and use of such services and entrepreneurs and other small businesses to develop, market, and maintain Internet offerings," the proposal states. "Such disclosure shall be made via a publicly available, easily accessible website or through transmittal to the Commission." The proposal also eradicates the formal complaint process. 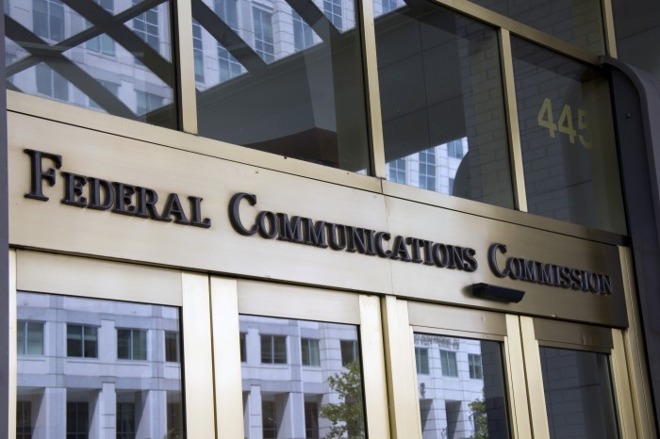 The FCC expects that complaints by consumers and businesses affected by ISP decisions will be "infrequent" and "involve relatively small amounts of harm, though the record does not allow us to estimate this magnitude." Pai's order relies on consumers being able to shift providers should they find conduct, promises made or broken, or pricing by the ISP intolerable. The vast majority of the U.S., especially those outside of major metropolitan areas, have one broadband provider —or have to rely on one wireless carrier for service. The FCC maintains jurisdiction over community-based broadband projects under the order —which it routinely battles against in court. But, at the same time, it claims that the new classification will "reduce the burdens" on smaller providers from reporting requirements. The new order eradicates most of the provisions in the Title II reclassification of broadband, including the general conduct standard, the ban on paid prioritization, and the no-blocking/no-throttling rule. Also superseded are the rights of the states to enact neutrality laws —they are expressly forbidden under the order. "We eliminate these rules for three reasons. First, the transparency rule we adopt, in combination with the state of broadband Internet access service competition and the antitrust and consumer protection laws, obviate the need for conduct rules by achieving comparable benefits at lower cost," writes the FCC. "Second, the record does not identify any legal authority to adopt conduct rules for all ISPs, and we decline to distort the market with a patchwork of non-uniform, limited-purpose rules. Third, scrutinizing closely each prior conduct rule, we find that the costs of each rule outweigh its benefits." The proposal will likely get the green light on Dec. 14, with a 3-2 vote along expected party lines. The proposal is not valid until voted upon, and entered in the Federal Register —and is likely to be challenged in court before that happens. Ex-FCC head Tom Wheeler objects to the proposal. "The job of the FCC is to represent the consumer," Wheeler said after the proposal was announced. "Tragically, this decision is only for the benefit of the largely monopoly services that deliver the Internet to the consumer." Google agrees with Wheeler's sentiment. The search engine giant is "disappointed" and claims that the "net neutrality rules are working well for consumers." Verizon released a statement after Tuesday's announcement lauding the plan, but claiming that it wanted to protect free and open access to the internet. "We continue to believe that users should be able to access the internet when, where, and how they choose, and our customers will continue to do so," wrote Verizon. "We are also confident that the FCC will reinstate a framework that protects consumers' access to the open internet, without forcing them to bear the heavy costs from unnecessary regulation that chases away investment and chills innovation." Republican senator John Thune also celebrated the proposal, but wants to have a bipartisan effort in government continue to clarify the matter to "create long-term certainty for the Internet ecosystem." Apple filed a multi-page objection to net neutrality eradication earlier in 2017. In it's statement, it said that paid fast lanes could result in "differential treatment of content based on an online providers' ability or willingness to pay." "Apple remains open to alternative sources of legal authority, but only if they provide for strong, enforceable, and legally sustainable protections, like those in place today," Apple declared. "Simply put, the internet is too important to consumers and too essential to innovation to be left unprotected and uncertain."